There’s Something in the Fog! Recently, a couple of my friends were having a light scuffle about music formats on Facebook. The conversation shifted from ‘Why are you listening to that?’ to ‘Why are you listening to that on CD?’ The suggestion was that any physical format for storing music was now absurd: ‘Why would you when you don’t have to?’ Such an outcry would be ignored by the boozy congregation that met earlier this month in Islington’s deconsecrated church The Nave. They were out in their legions to pay homage at the launch of the heavyweight 180g luxuriance that was the limited, double coloured vinyl edition of John Carpenter’s self-scored soundtrack to The Fog (1980), released by Death Waltz Recording Company, founded by Spencer Hickman in 2011. 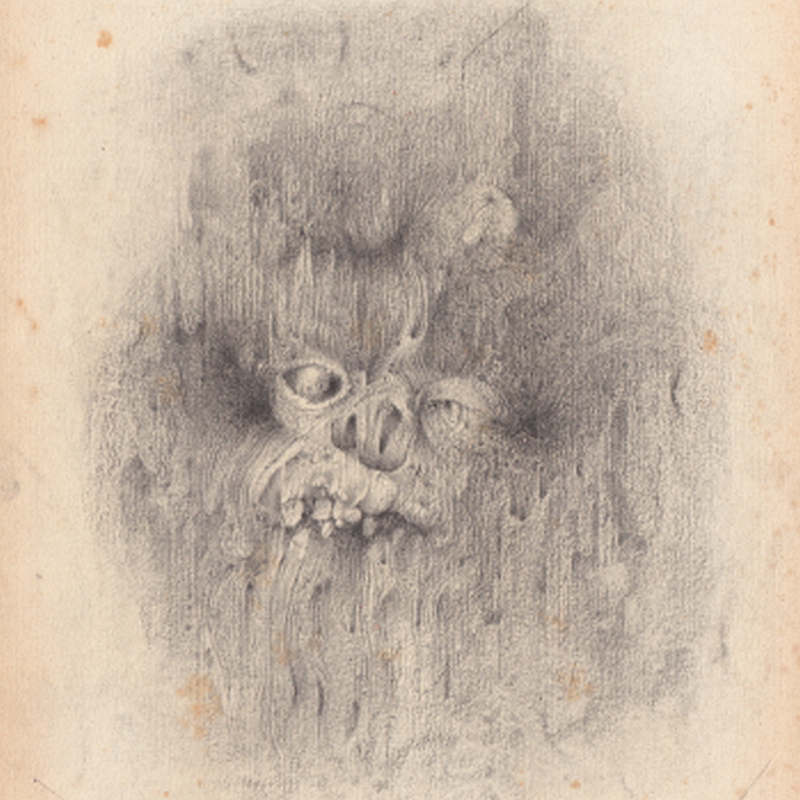 Also unveiled that night was renowned artist Dinos Chapman’s specially commissioned cover artwork: a spidery, skinless semi-human face that seems to emerge from a graphite fog and be consumed by it at the same time. More information on Cigarette Burns Cinema can be found here. Rare celluloid print screening masters Cigarette Burns, founded by Josh Saco in 2008, who co-hosted the event, treated us further to lurid trailers from 70s movies, including Burnt Offerings (1976) and Demon Seed (1977), getting us in the mood for the 16mm full scope projection of The Fog itself: Carpenter’s tale of 19th-century undead sailors who descend upon their old haunt, the Californian fishing town Antonio Bay, to avenge their betrayal. They were drowned when their ship was sunk by original Bay folk who were not keen on the sailors’ mission to establish a leper colony nearby. The eerie thick fog that heralds their anniversary visit is a portentous means of transportation. The fog is more than this though: its ubiquity and unearthly toxicity are incomprehensible. A motif perhaps, of the world beyond, an anarchic space outside society, that Carpenter evokes across his films. 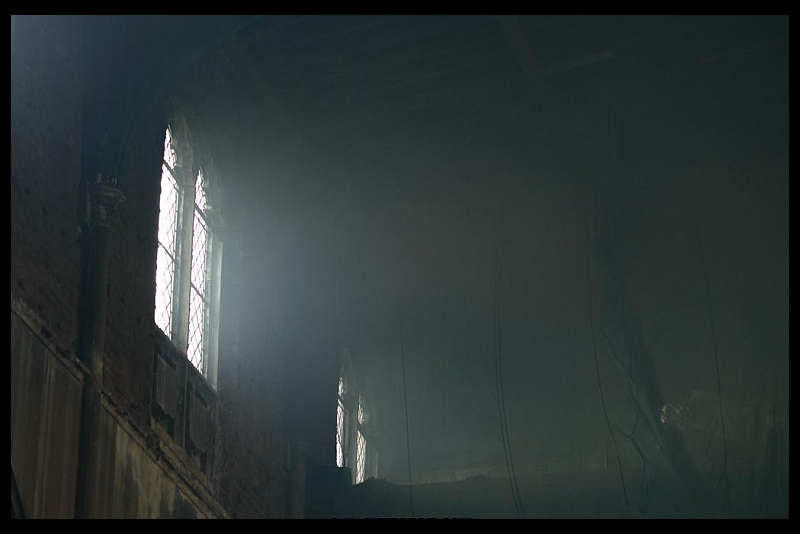 The Fog is certainly worth celebrating, and the dimly lit, smoke-filled arts venue provided some great visual echoes, especially during the scenes set in Father Malone’s church. Carpenter is known for scoring and performing the music for his own film projects and The Fog’s soundtrack is indicative of his pared-down, minimal style. The detuned sense of foreboding puts me in mind of his outsider antiheroes, who are at odds with the dominant social forces. This includes my favourite Carpenter character, psychopath turned hobby bobby Napoleon Wilson, played by Darwin Joston in Assault on Precinct 13, who also turns up in The Fog as the coroner. Also, Michael Myers, played by Tony Moran, the slasher who gets to walk away unscathed at the end of Halloween. Whether Carpenter gives us the electro alienation of the Assault score or the agoraphobic mix of The Fog, these spaces are populated by drifters, the disenchanted and the vengeful. Carpenter’s re-issued score would work on any format because it’s good, but I like Death Waltz’s double vinyl edition that can be handled and played on an analogue system. For me, this is part of the phenomenological pleasure of space, and objects that occupy three-dimensional space and reflect light. It’s also about an enjoyment of the residue of this: the whirring of the projector, cigarette smoke in a beam of light or the suspense of opening a double album, searching for inserts.